If there is a central conceptual framework that has reliably borne the weight of modern physics as it ascends into the twenty-first century, it is the framework of quantum mechanics. Because of its enduring stability in experimental application, physics has today reached heights that not only inspire wonder, but arguably exceed the limits of intuitive vision, if not intuitive comprehension. For many physicists and philosophers, however, the currently fashionable tendency toward exotic interpretation of the theoretical formalism is recognized not as a mark of ascent for the tower of physics, but rather an indicator of sway—one that must be dampened rather than encouraged if practical progress is to continue. In this unique two-part volume, designed to be comprehensible to both specialists and non-specialists, the authors chart out a pathway forward by identifying the central deficiency in most interpretations of quantum mechanics: That in its conventional, metrical depiction of extension, inherited from the Enlightenment, objects are characterized as fundamental to relations—i.e., such that relations presuppose objects but objects do not presuppose relations. The authors, by contrast, argue that quantum mechanics exemplifies the fact that physical extensiveness is fundamentally topological rather than metrical, with its proper logico-mathematical framework being category theoretic rather than set theoretic. By this thesis, extensiveness fundamentally entails not only relations of objects, but also relations of relations. Thus, the fundamental quanta of quantum physics are properly defined as units of logico-physical relation rather than merely units of physical relata as is the current convention. Objects are always understood as relata, and likewise relations are always understood objectively. In this way, objects and relations are coherently defined as mutually implicative. The conventional notion of a history as “a story about fundamental objects” is thereby reversed, such that the classical “objects” become the story by which we understand physical systems that are fundamentally histories of quantum events. Michael Epperson is director of the Center for Philosophy and the Natural Sciences in the College of Natural Sciences and Mathematics at California State University, Sacramento, where he is a research professor and principal investigator. He is the author of Quantum Mechanics and the Philosophy of Alfred North Whitehead. Elias Zafirisis research professor in theoretical and mathematical physics at the Institute of Mathematics at the University of Athens, and is currently a visiting professor in the Department of Logic, Institute of Philosophy, Eötvös Loránd University in Budapest. He is also a senior research fellow and principal investigator at the Center for Philosophy and the Natural Sciences in the College of Natural Sciences and Mathematics at California State University, Sacramento. One of the driving contentions in modern physics has been the inability to reconcile the dominance of classical thought in the theory of relativity with the indeterminate nature of quantum mechanics. Some would argue that one such attempt at a compromise had arrived in the form of quantum field theories, with multiple ideas for resolving the asymmetrical features between relativity and ordinary quantum mechanics. Here, Epperson and Zafiris (both, California State Univ., Sacramento) decide to return to ordinary quantum mechanics and propose sheaf theory, a theory that grew out of the abstract algebra of topology and set theory, as a solution to the stubborn paradoxes found in quantization attempts. They then compare the theory's interpretive value to the category scheme found in Whitehead's Process and Reality (1929). Epperson's earlier work, Quantum Mechanics and the Philosophy of Alfred North Whitehead (2004), is a good predecessor to the current book. The authors begin with the famous 1935 paper on quantum theory and reality by Einstein, Podolsky, and Rosen. . . . Part of the 'Contemporary Whitehead Studies' series. Summing Up: Recommended. Graduate students and researchers/faculty. 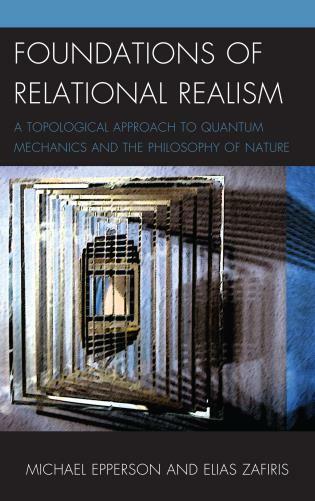 [Foundations of Relational Realism] contributes to a body of literature which seeks to apply sheaf theory (and in many cases, topos theory in particular) to the discussion of quantum non-locality. Particularly noteworthy are the research programs initiated by Butterfield and Isham, Doering and Isham, and Landsman et al., respectively, which seek (modulo subtle differences) to develop a sheaf-theoretic account of quantum mechanics, as well as recent work by Abramsky et al. which brings various types of quantum nonlocality and contextuality under a sheaf-theoretic rubric (but without absorbing the entire structure of quantum mechanics). A startling development in the last century has been the overflowing of theoretical and observational sciences into the fields of philosophy, particularly by quantum mechanics and cosmology. 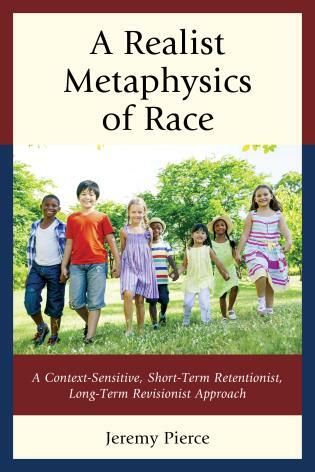 The present book is twice valuable on this fascinating subject in my opinion: on one hand for its clear and lucid exposition and application of Whitehead's ontology as a most attractive framework for this kind of query, and on the other hand, for its extension of the dialectics of ontology through an original use of advanced concepts from modern mathematics. This is a unique book in its scope, approach and method. A novel physical and philosophical interpretation of sheaf theory sheds new light on the quantum measurement problem, entanglement, locality and truth. A new systematic and rigorous relational realistic paradigm for natural philosophy has emerged, rooted on the same principles with Abstract (Modern) Differential Geometry that transmutes the above into a fully fledged dynamical theory. These are just a few of the novel critical claims explored in this volume—claims whose exemplification in quantum mechanics will, the authors argue, serve more broadly as foundational principles for the philosophy of nature as it evolves through the twenty-first century and beyond.